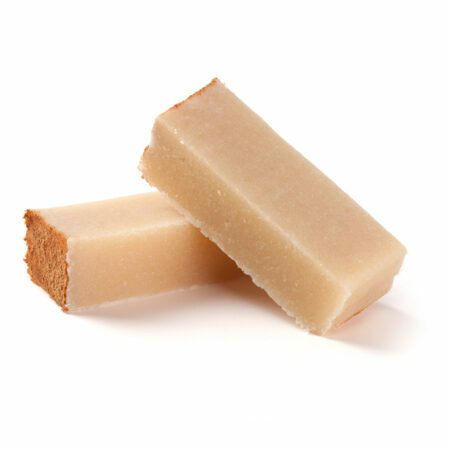 The most popular soft turrón, well-known for its smooth texture. Ingredients are ground and cooked in a specific cooking pot called “boixet” for the dough to form a homogenous mixture. Its name “granulated” comes from its crispy texture containing small bits of almonds. 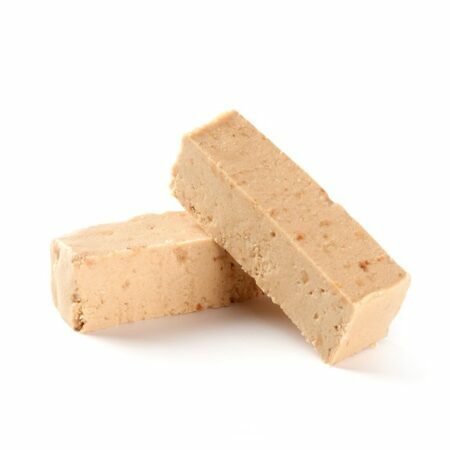 The most popular soft turrón, well-known for its smooth texture. Ingredients are ground and cooked in a specific cooking pot called “boixet” for the dough to form a homogenous mixture. 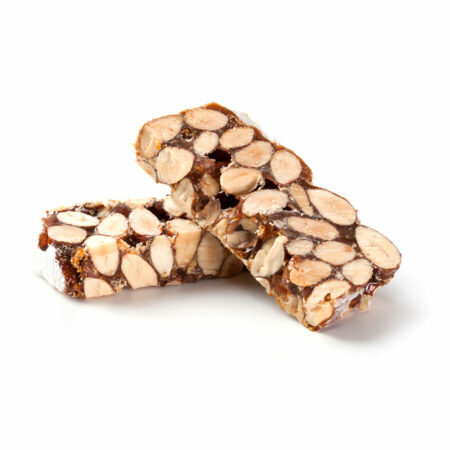 Its name “fine” comes from its smooth texture with no bits of almonds. 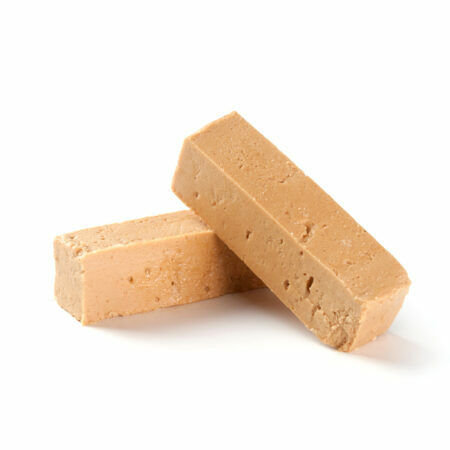 The most popular “hard” turrón. 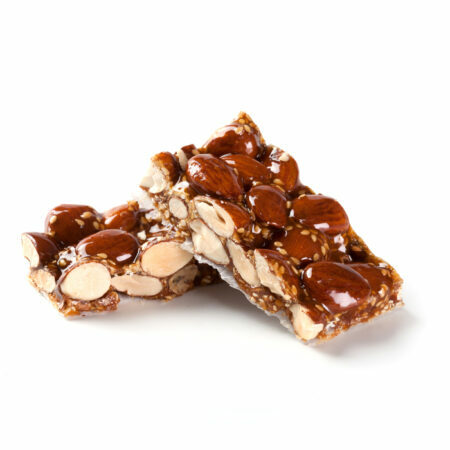 It contains large amounts of almond and crispy honey, giving its hard and crunchy texture a more pleasant taste. 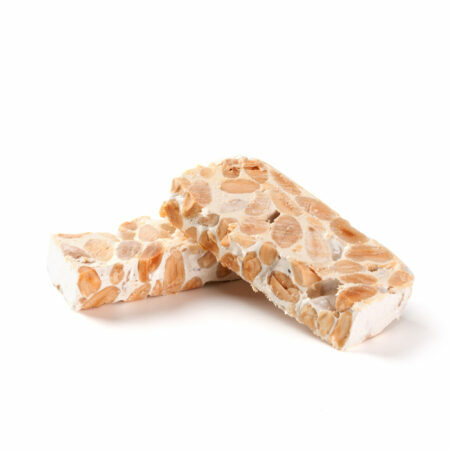 The quality of its Marcona almond and orange blossom honey makes this turrón of Alicante so special. Tortas de Alicante are also known as Imperial. 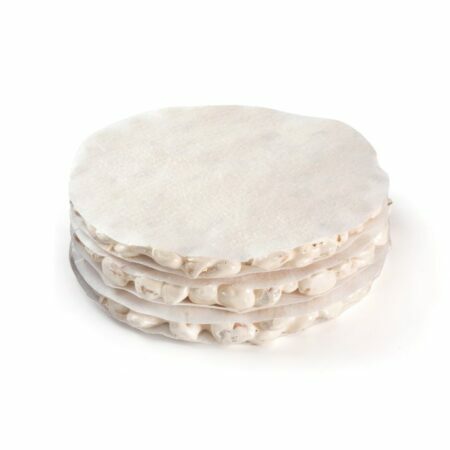 The dough, made of turrón of Alicante, is molded manually to obtain a thin and round layer covered by two wafer-thin slices, one on top and one below. The whole almonds and the wafer gives it a very pleasant flavour. Traditional turrón, similar to Jijona turrón but made with different ingredients and a different production method. It’s called “stone” because it’s made with a stone mill which smashes the almonds previously roasted with sugar until they become a smooth cream. Cinnamon and grated lemon peel is added to the cream. Widely appreciated and typical of Catalonia. It is a mixture of ground almonds and egg yolk. 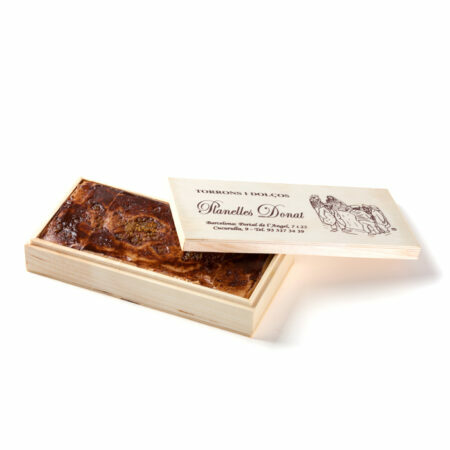 We cover it with a thin layer of sugar burnt in order to achieve a more sophisticated texture. Traditional turrón also known as “de canela” (made of cinnamon). A basic marzipan with egg yolk. At Christmas we add a layer of cinnamon. The almond variety “Mollar” is very suitable for this product. Traditional marzipan with candied fruit. Known by the variety of fruit: pumpkin, watermelon, orange and lemon. The fruit colour is the result of repeatedly immersing the fruit in syrup (no artificial colouring needed). It is a very traditional turrón. Only takes almond, sugar, grated lemon peel and a bit of cinnamon. 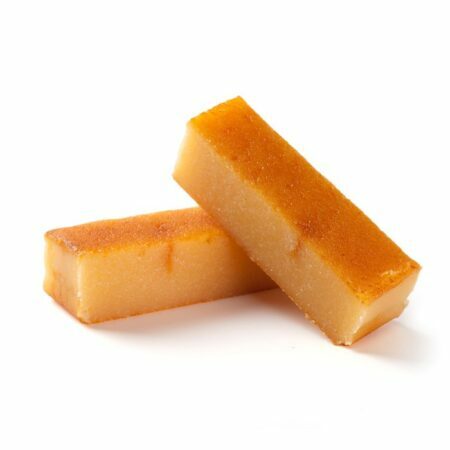 For our marzipan turrón we use the almond variety “Mollar” and “Pestaña”, which have softer shells and contain less fat. 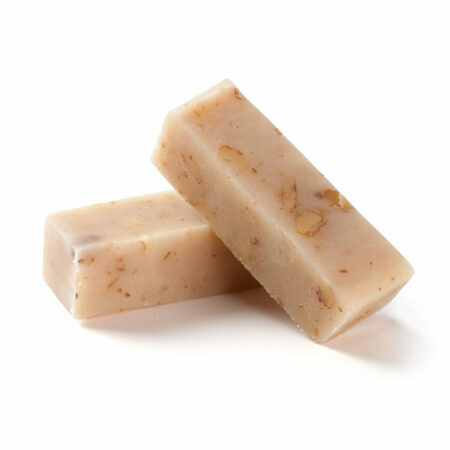 Marzipan with a soft texture made of cream and nuts, which give a distinctive flavour. Stands out for the quality of the Spanish nuts. 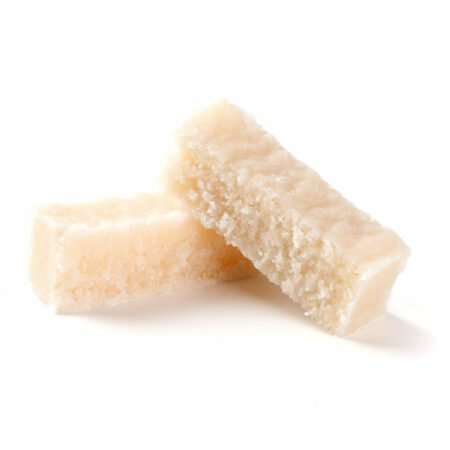 Our coconut turrón combines Marcona almond and grated coconut to avoid dryness and obtain a more pleasant taste. 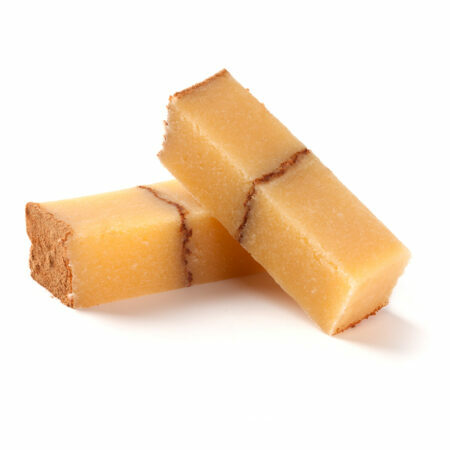 Crunchy turrón divided in two overlaid bars, which have been nicely crafted to make it easier to eat. Made of roasted honey and roasted sesame seeds to obtain a distinctive flavour. Together with the Guirlache, they are the only turrones in which the skin of the toasted almond is not removed; that’s why their flavours are very different from the rest. Traditional turrón also known as “crunchy”. Roasted almonds with their skin are blended with caramel made from sugar. 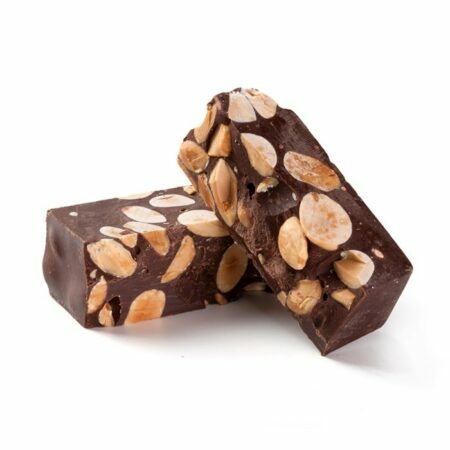 Together with the Terronico, they are the only turrones in which the skin of the toasted almond is not removed; that’s why their flavours are very different from the rest. 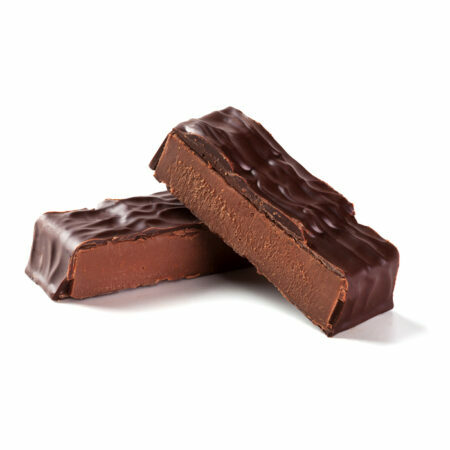 It’s a development of the traditional turrones achieved by a blend of high-cocoa chocolate and high-quality almonds. 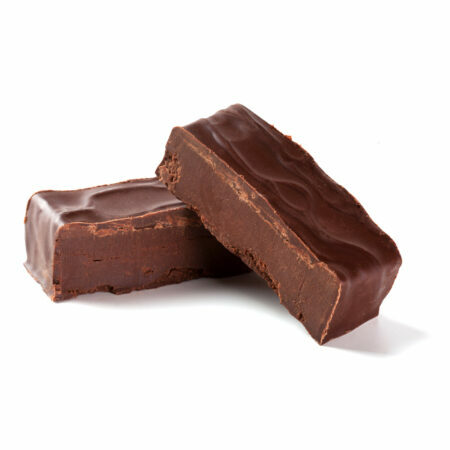 Our master chocolatier gives it a crunchy touch offering a distinctively pleasant taste. 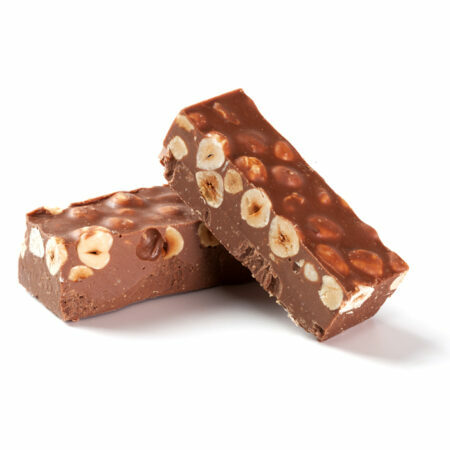 It’s a development of the traditional turrones achieved by a blend of high-cocoa chocolate and the best quality hazelnuts from Reus, a Catalan region. Our master chocolatier gives it a crunchy touch offering a distinctively pleasant taste. Truffled chocolate covered with dark chocolate. We enter the world of pastry. A soft touch of whisky is added to the chocolate and the softness of the truffle. Perfect for chocolate liquor lovers. We enter the world of pastry. The truffled chocolate and the softness of the truffle combined with our almonds turn it into a very sophisticated product. We enter the world of pastry. 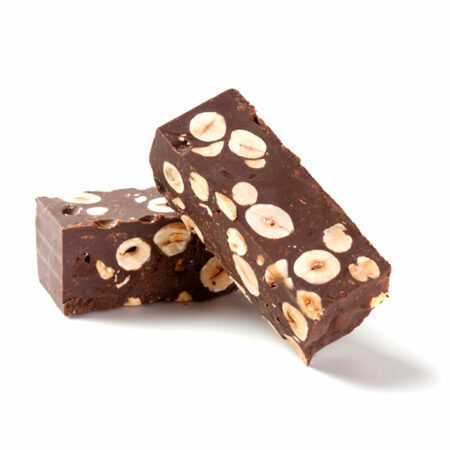 The truffled chocolate and the softness of our hazelnuts makes it a very sophisticated product. 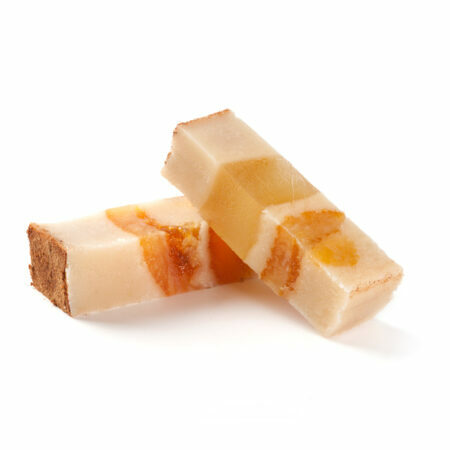 This turrón is among the most popular “hard” turrones. 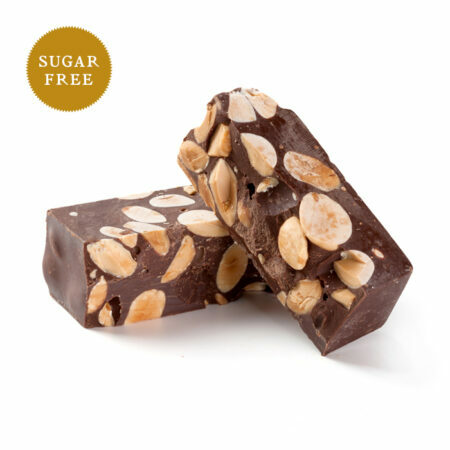 It contains large amounts of almonds, giving its hard and crispy texture a more pleasant taste. 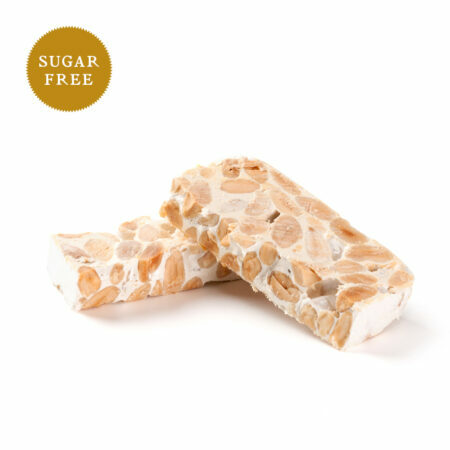 This hard, sugar-free turrón of Alicante stands out for the almond quality and maltitol sweetener. It is especially designated for diabetics. 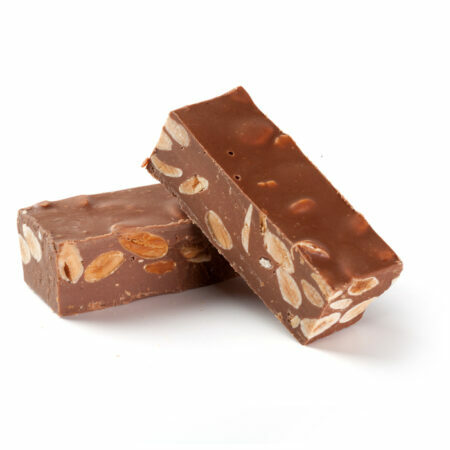 It’s a development of the traditional turrones achieved by a blend of high-cocoa chocolate and high-quality almonds. We use maltitol sweetener for this recipe. It is especially designated for diabetics. This product is only available during the christmas season. 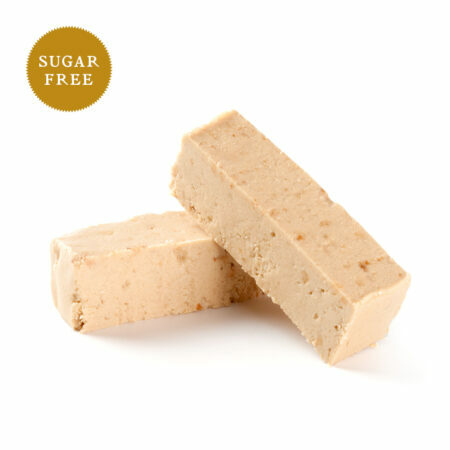 This soft, sugar-free turrón stands out for the almond quality and maltitol sweetener.